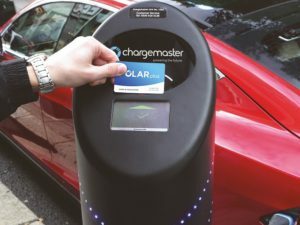 Chargemaster is launching a fleet-specific subscription of its 6,000-strong Polar electric vehicle charging network, enabling usage for multiple drivers to be billed to the same account. Chargemaster is enabling multiple users’ charging costs to be billed to a single account. Polar Corporate is targeting fleets and leasing companies, which are said to account for around 70% of plug-in vehicle registrations in the UK but, according to recent research, are often missing out on the true running cost advantages of hybrids by not plugging them in regularly enough. The service will enable centralised invoicing for operators, with usage itemised to individual drivers to allow fleet to trace and monitor costs. David Martell, chief executive of Chargemaster, said: “Fleets and businesses are increasingly deploying electric vehicles, particularly with the decline in the diesel car market, and while employees will benefit from lower taxation, companies also need to maximise the benefits that electric vehicles present, by charging them appropriately.